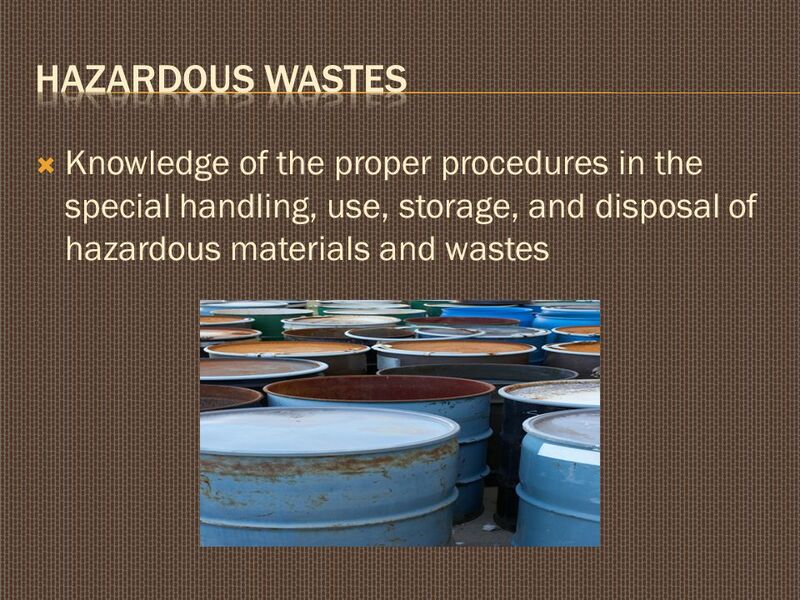  Knowledge of the proper procedures in the special handling, use, storage, and disposal of hazardous materials and wastes. 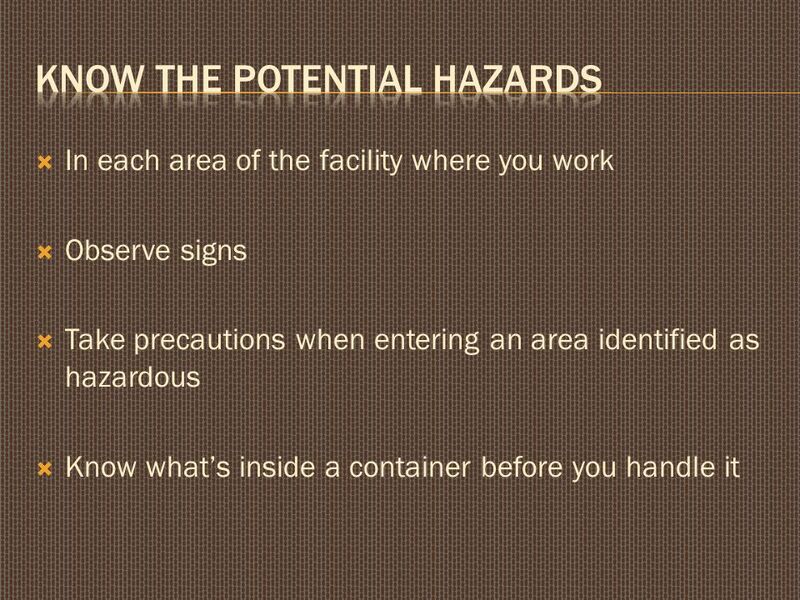 Download ppt " Knowledge of the proper procedures in the special handling, use, storage, and disposal of hazardous materials and wastes." 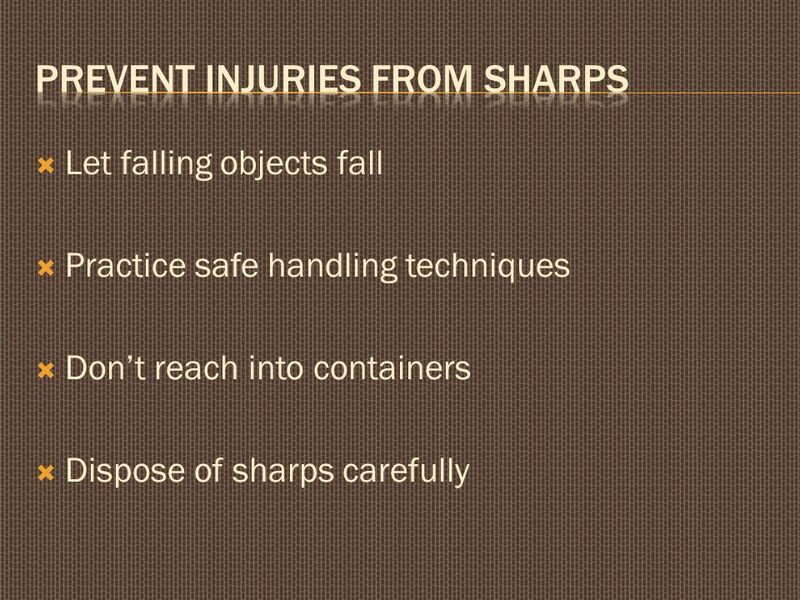 Choose the appropriate tools or instruments and use relevant safety procedures to complete scientific investigations. 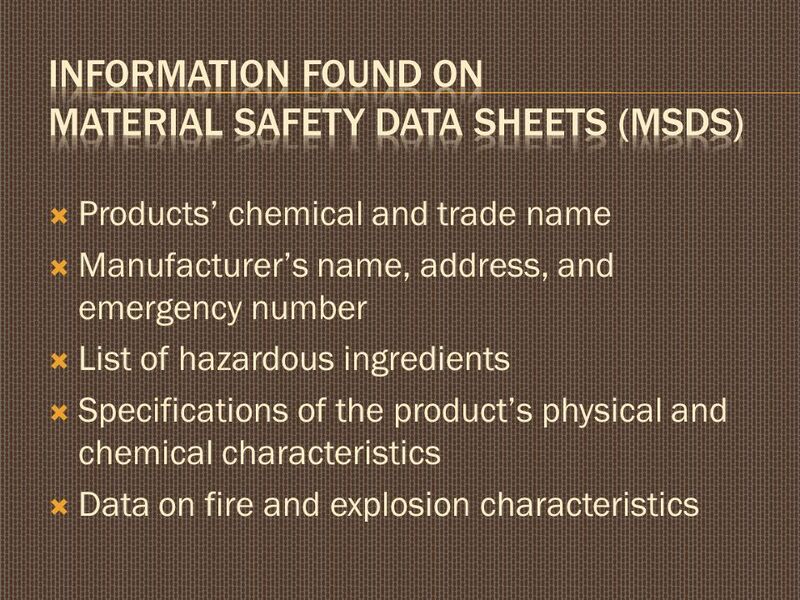 Hazardous Substances Cleaning Agents or 1 1 Heath Hazard Safety Hazard. 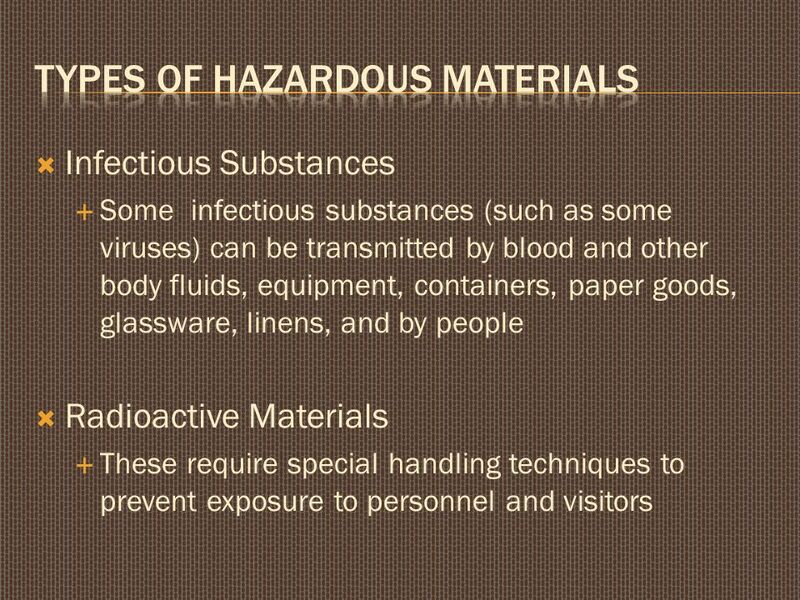 HAZARDOUS MATERIALS & WASTES Knowledge of the proper procedures in the special handling, use, storage, and disposal of hazardous materials (hazmats) and. 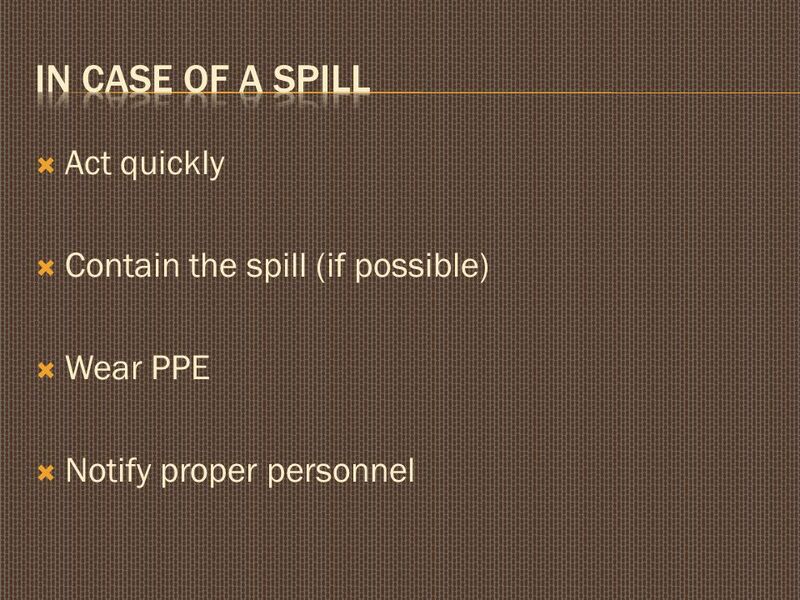 LAB SAFETY FOR CUSTODIANS. 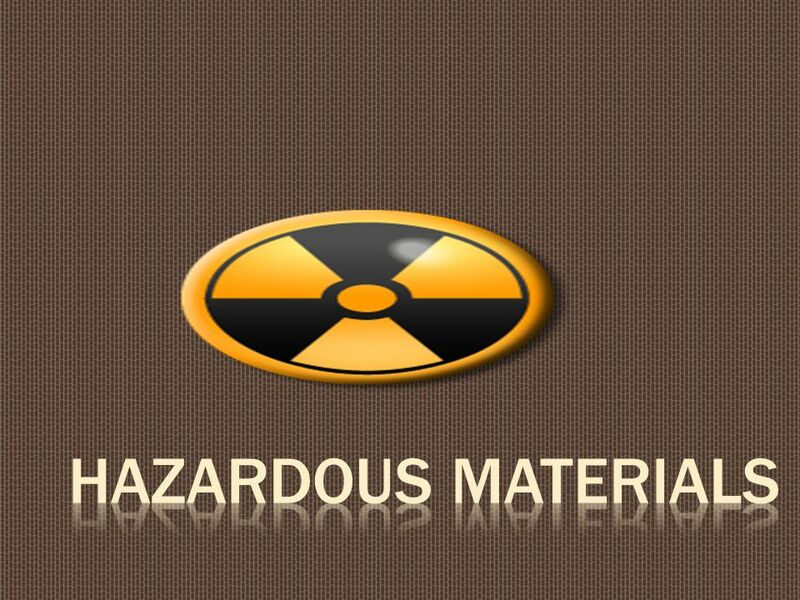 Lab Waste  Biological Waste  Chemical Waste  Regulated Medical Waste  Non- Regulated Medical Waste  Radioactive Waste. 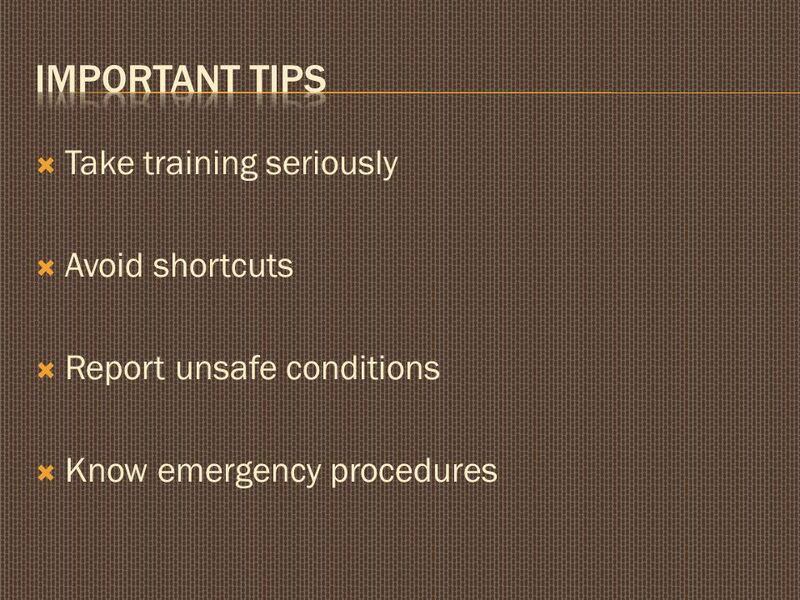 Safety for Health Science Students. Classroom Rules No running, climbing, or throwing. 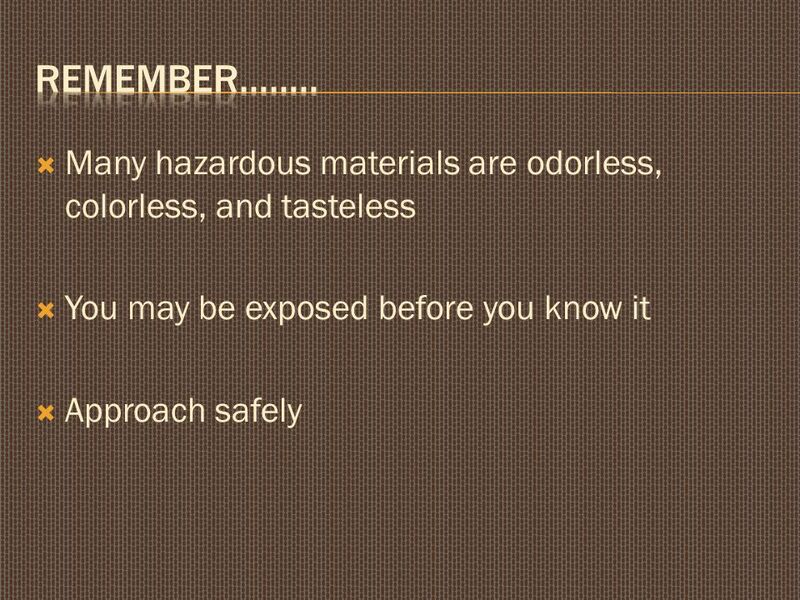 Keep bags and purses on shelf or under desk. 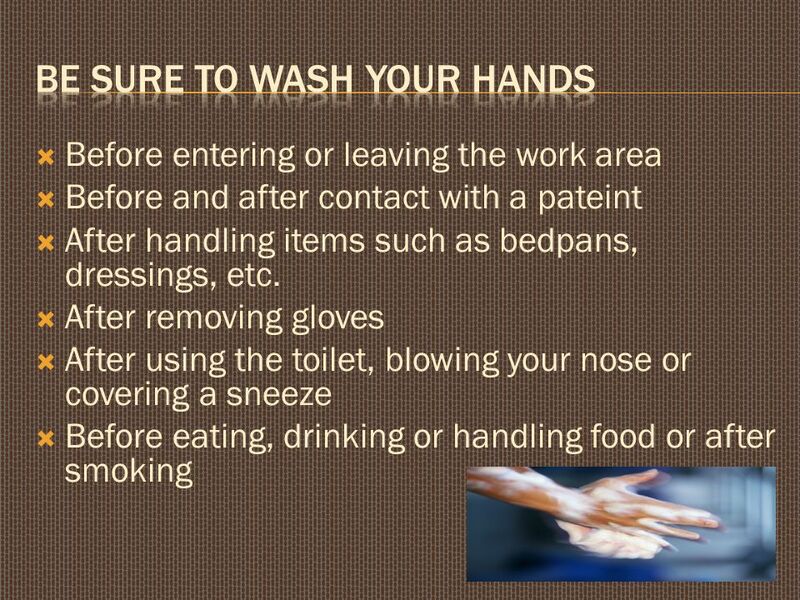 Keep your hands to. 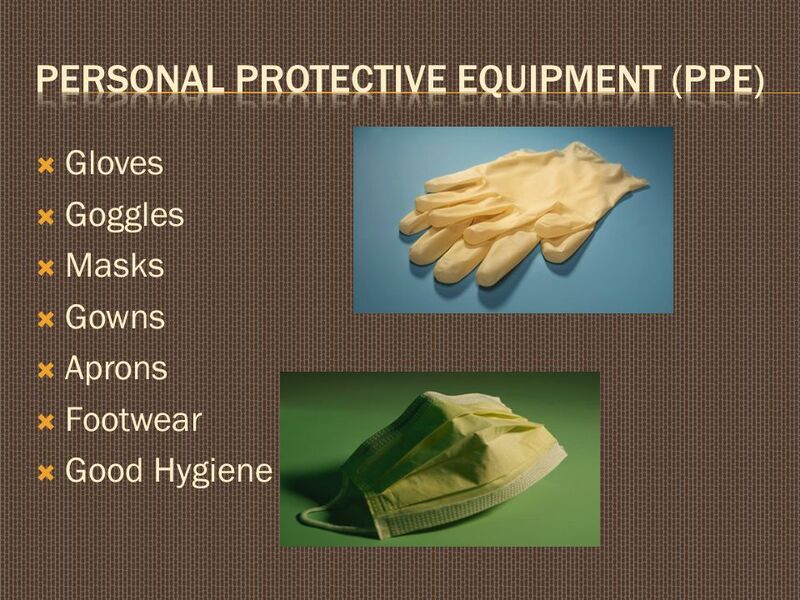 TOOL BOX TALKS Infection Control. 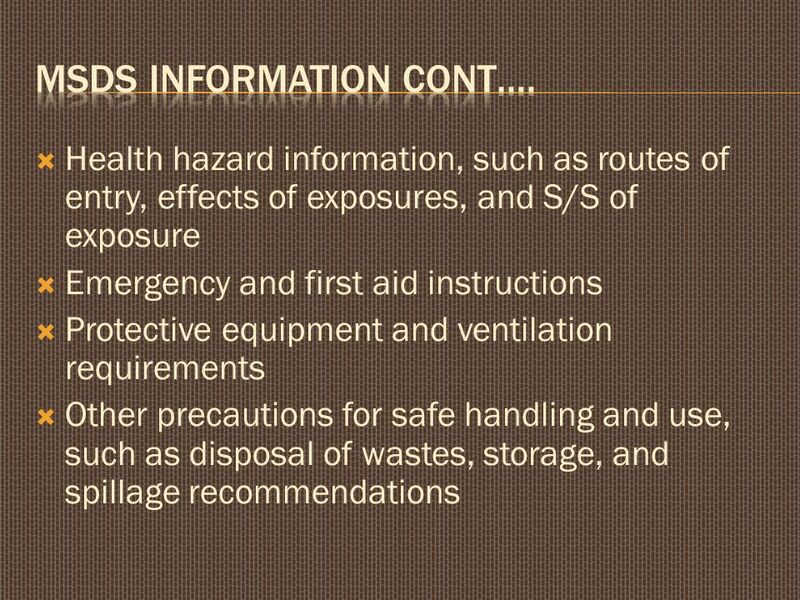 WY MSHA State Grant Program BLOOD BORNE PATHOGENS AND UNIVERSAL PRECAUTIONS TRAINING. 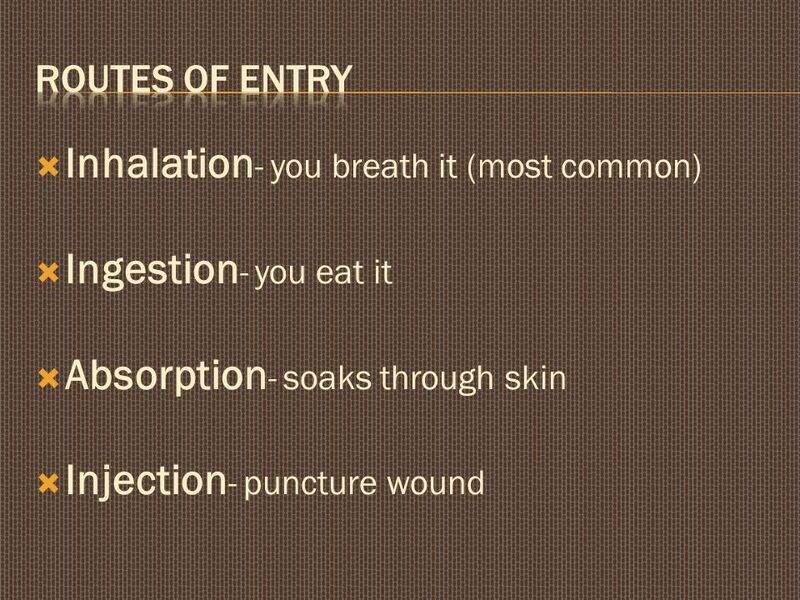 Chemical Hazards I Master Notes. 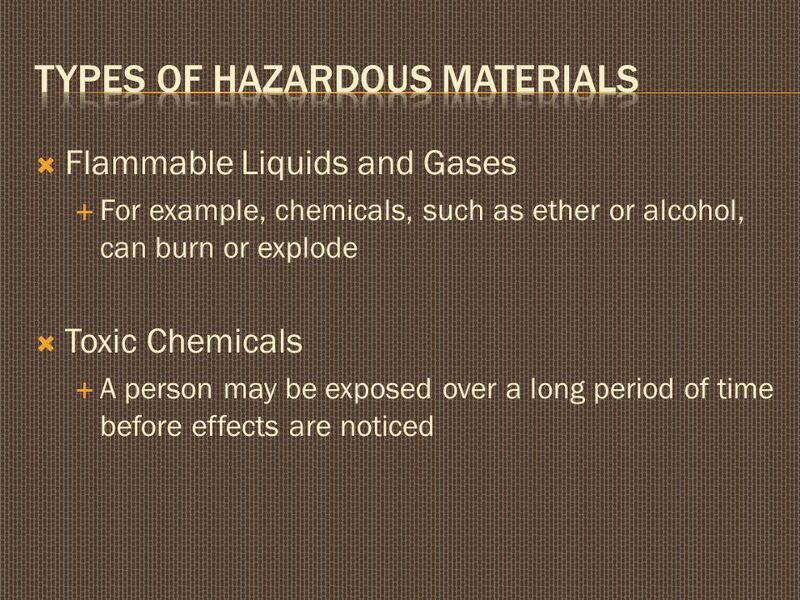 Chemical Hazards Certain chemical substances are more harmful than others A poisonous substance is called a toxin.